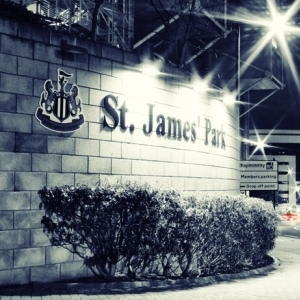 The ICT for Education national conference programme reaches Newcastle on 25 September 2015 at St James Park. Alan will provide an entertaining adventure into the world of interactive fiction, demonstrating a powerful writing tool with huge potential in the classroom. In interactive fiction adventures, readers discover the consequences of the choices they make. There is scope to use these free tools across the whole school or to explore specific themes within particular subjects. Phil will discuss Cramlington’s progress with Google Apps and Chromebooks. Last year, Cramlington began the process of slimming down its ICT provision from 1800 machines to 600. As part of the process it introduced GAFE as its tool of choice and a 1:1 Chromebook scheme. Phil will share the successes, challenges and next steps of the process, and offer advice for those considering, or already running, a similar scheme. Dr Nick Cook is a lecturer in the School of Computing Science at Newcastle University, teaching programming and operating systems. Nick is responsible for the school's outreach and widening participation activities. Active participation in Computing at School (CAS) is at the heart of this work, which includes CPD for teachers and workshops for school students of all ages. Nick leads the delivery of Barefoot Computing workshops to primary schools across the region and successfully bid for the establishment of the new CAS North East regional centre – one of 10 established in universities in England. CAS North East will bring together the work of CAS hubs, master teachers, lead schools and other stakeholders to support the delivery of the new computing curriculum in the region's schools.